If you haven’t been watching AMC’s BREAKING BAD, this will likely be lost on you, but for those who are all caught up get ready to chuckle. 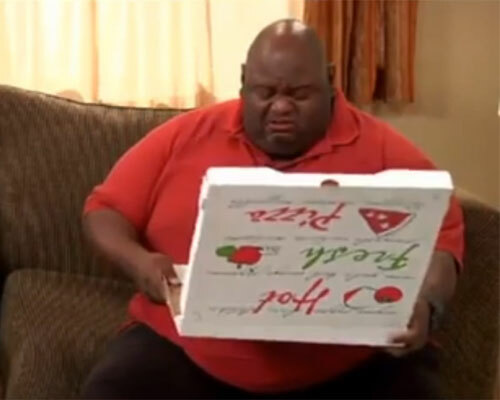 One of the biggest unanswered questions left from the fan-favorite series is what happened to Huell Babineaux (played by Lavell Crawford). The last time we saw lovable Huell was in a safe house when Hank Schrader and Steve Gomez told him to stay put until things blew over… and we all know Hank and Gomie never came back later. So what happened? Did Huell just stay in the safe house? Did anyone come for him? Funny or Die seems to have the answer, in a rather Tyler Perry-esque spin. Vince Gilligan would be proud. For those who get the joke, enjoy.